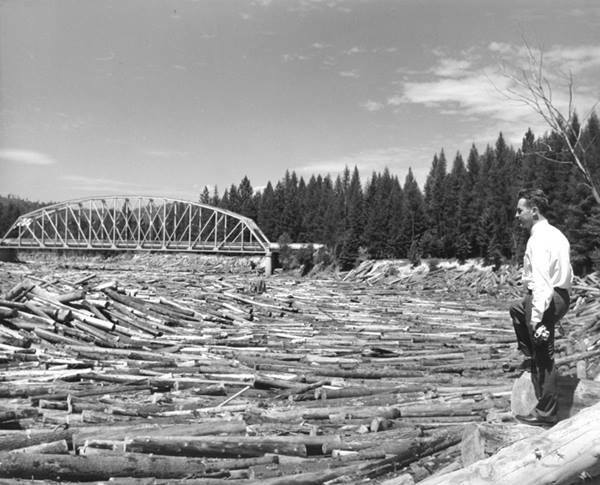 Priest River - the river of logs. Log drive down Priest River to the Pend Oreille River. During some log drives so many logs were sent downstream that the water disappeared from view. You can see where some of the logs were pushed up on the bank and would have to be returned to the water in due time. Courtesy of John Howard.